Are you looking for kids party ideas in Melbourne? 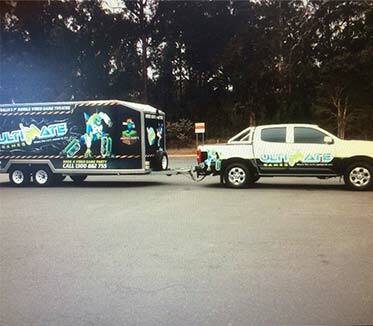 How about a party on wheels that comes to you? 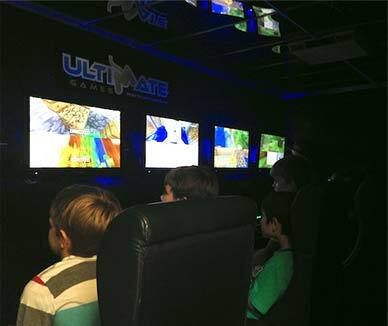 At Ultimate Games we can help you throw the ultimate gaming party. It’s what we do! 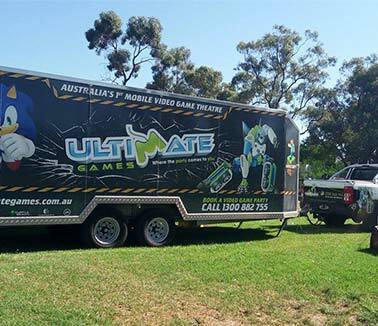 Whether it’s a kids birthday party in Melbourne, a teenage birthday party, a school holiday party– wherever you need to keep the kids entertained – Ultimate Games has the answer. 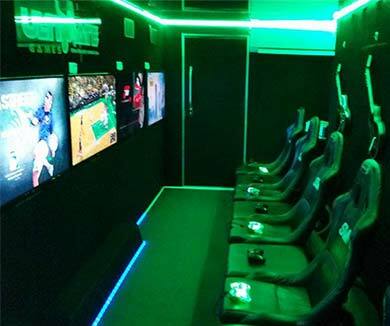 Our fully enclosed gaming station will come to you equipped with the latest consoles and games. We offer full multi-player action with up to 16 kids playing at once. We have all the latest Xbox and WiiU titles. It doesn’t matter if your kids are into Mine craft, Sonic Racing, Mario Kart, Just Dance, Fortnite, or the latest sports sims. We can tailor a games package to suit their interests, age range, or parents’ specifications. We come to you – wherever you are in Melbourne. All equipment provided – all consoles, games, controllers, everything. 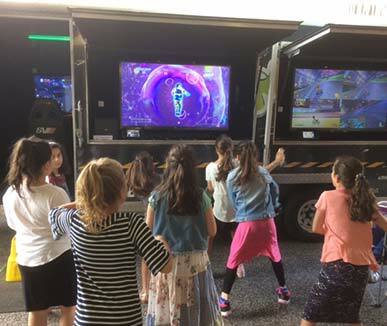 All weather partying – our fully enclosed and climate-controlled gaming trailer means the kids play in comfort. Rain, hail or blasting heat, good times are guaranteed. Fully supervised – Our expert Game Coach will be on hand to set everything up, make sure everything is working properly, ensure that everyone knows how to play, and to keep the kids from getting too excited. Want to talk party plans? If you have an upcoming kids or teenage birthday party around Melbourne, give us a call on 1300 882 755, drop us an email, or contact us online. Don’t miss our special offer! Make a weekday booking (Monday-Thursday) to receive 15% discount (within our 30km travel areas). Give us a call on 1300 882 755 to find out more.